We are a group of registered HPCSA Arts Therapists and arts practitioners. 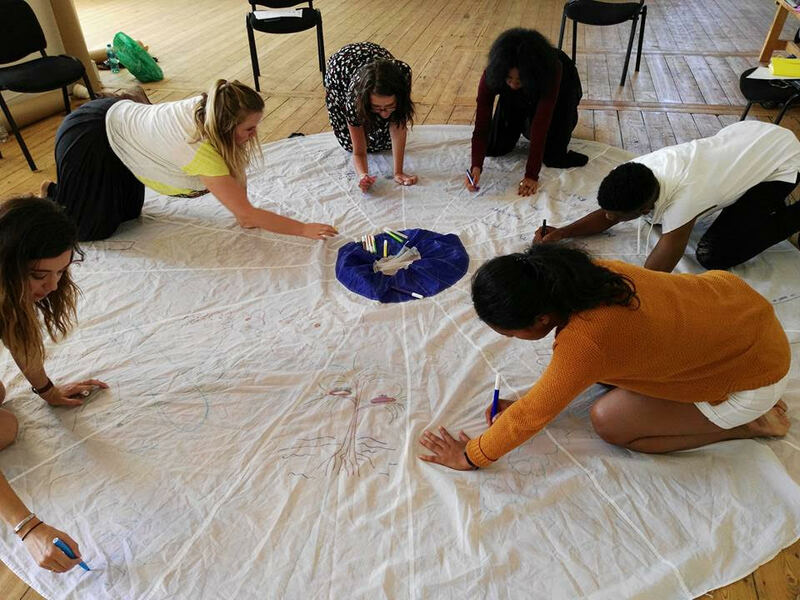 sp(i)eel was formed as an arts therapies collective (art, drama, dance/movement and music) to create wider access to the arts therapies as a source of transformation, healing and rehabilitation for communities in both rural and urban settings in the Western Cape. We offer vulnerable population groups an alternative form of psychological therapy that is inherently inclusive in its non-verbal, embodied and creative-expressive nature. We work with children, adults, the elderly and people suffering from trauma and mental health difficulties. Our hope is to be part of a network of support that collaborates with other agencies towards healing and social transformation in the wider community. Through our work we also aim to contribute to the field of arts therapy through research, publications and training.